Most of you might have made a paper plane when you were kids. There’s even a Korean children’s song about paper planes that starts with the lyrics, “Nicely folded colored paper”. Whenever Koreans hear the song, it arouses memories of their childhood. The paper plane is associated with child’s play. However, some people are making them professional. They are called ‘paper plane pilots’, and they fly their creations at world competitions. SMT met the only national paper plane pilot, operating in the aerobatics, in Korea who turned his childhood play into a career. 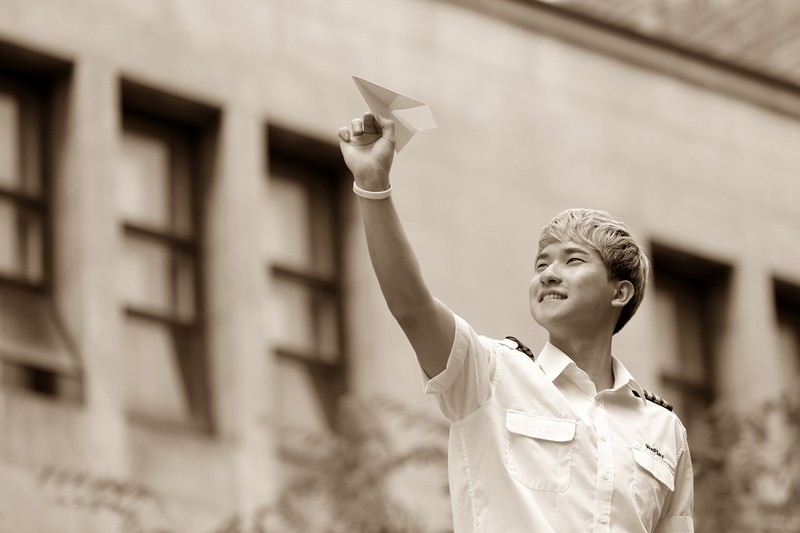 Sookmyungians, are you ready to fly? What made you become a paper plane pilot? It was by coincidence. I first learned of the existence of a paper plane competition when I was in my sophomore or junior year at college. A younger club mate told me about it and that the qualifier rounds would be held at our university. 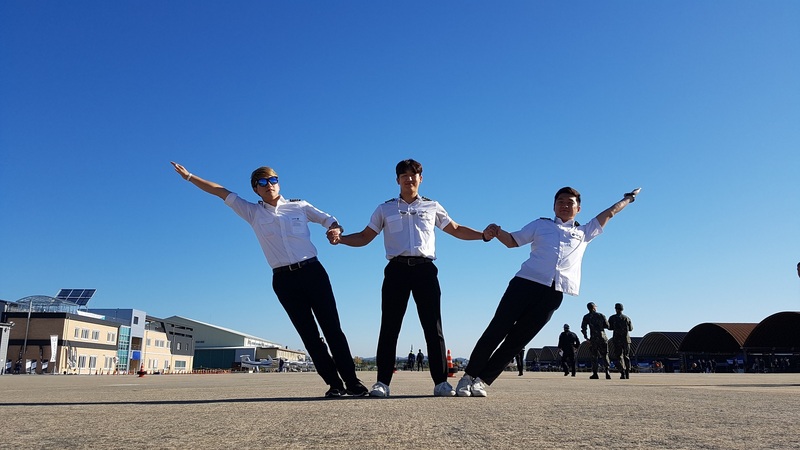 I also found that the grand prize winner would become Korea’s national paper plane pilot and travel to Austria to participate in the World Finals. At first, I doubted my ability and also tossed away the idea of participating because I was not interested in paper planes until that time. However, I yearned to do something new, and I had already participated in many various activities such as street dancing and so on. This yearning drove me to join the paper plane competition. I had only a month to prepare and at that time, I didn’t even know how to fold a paper plane, so I prepared the competition day and night. Why did you choose aerobatics among three categories of paper plane competition categories of distance, airtime, and aerobatics? I didn’t even know there was such a category because I was not interested in paper planes. I only found out about the three categories as I started preparing for the competition. I understood the categories of distance and airtime, but I couldn’t quite understand aerobatics, so it intrigued me. It was not easy, but I enjoyed the challenge. I pushed myself with the thought, ‘Why I can’t do this?’. The second reason I chose the aerobatics is because of motivation after watching videos of paper airplane aerobatics at the World Finals. I found that paper plane pilots make a performance within a short time. 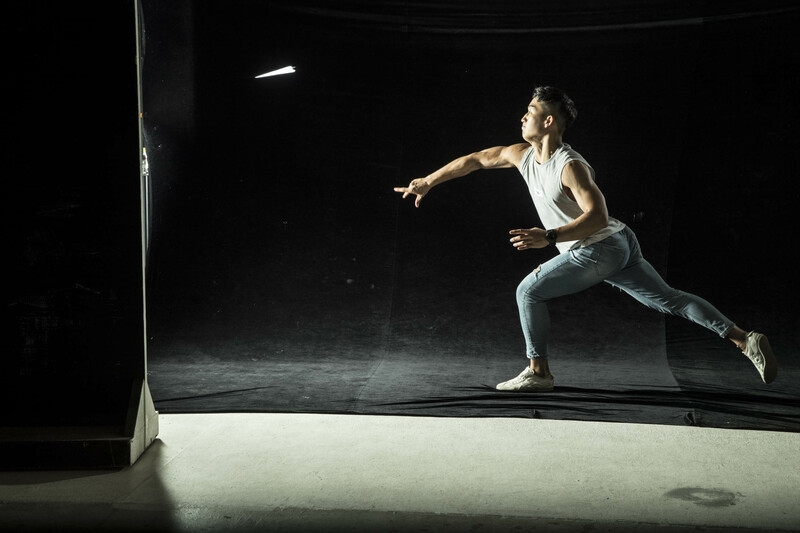 Having learned about stage management through my experience with a street dance club, I applied my knowledge to aerobatics, pondering the idea of how to make the plane fly with movement and music. What are the abilities that one needs to be a paper plane pilot? First and foremost, you need to be able to fold and fly a paper plane well, of course. To fold well, you need crafting skills. For instance, you need to be able to feel if the two sides of a sheet of paper are symmetric without the use of a ruler. Also, to make the plane fly well, you need to be physically strong. There are many people who fail due to arm and hand strength. Plus, you need to learn aeromechanics and hydromechanics. With that knowledge, you can make corrections when the paper plane flies off in the wrong direction. That is, you need to know how an actual plane flies in order to fly a paper plane well. When is the most rewarding moment as a national paper plane pilot? There are so many things, but the most memorable moment is the first time I started. At that time, I was a person full of passion. When I meet students, as a mentor in the field, I'm so happy to see that many are dreaming of becoming a national paper plane pilot. A few days ago, there was a comment on our YouTube channel. One kid said, “Weplay, I really want to meet you, study your paper plane model, and talk to you very much.” Thanks to this kid, we gain the strength to continue with our work and endeavor to do better work. Now, you create a new job ‘unique sports marketer’ over a member of the national team and operate a start-up company, Weplay. What motivated you to found such a company? I didn’t make the unique sports. I just set up the company to help people who have goals in unique sports. I want to help them create their own dream by aiding their effort to succeed. After having a really fun experience at the world competition, Red Bull Paper Wings, I wanted to continue having these fun experiences in Korea; however, paper planes are just seen as kindergarten crafts. I wanted to promote the making of paper planes as a great event that is on the world stage, so I started working with my current team members whom I met at the world competition. Korea doesn’t have categories for paper planes, so we realized the need to create a new sports field called ‘unique sports’. It combines sports and plays. After much thought, we came up with a marketing strategy to promote our idea and established the job title ‘unique sports marketer’. As a unique sports marketer, I offer a variety of programs such as lectures about personal branding, workshops, job-reating consulting, unique sports competition advice, a Junior Pilot Camp, mentoring, and so on. 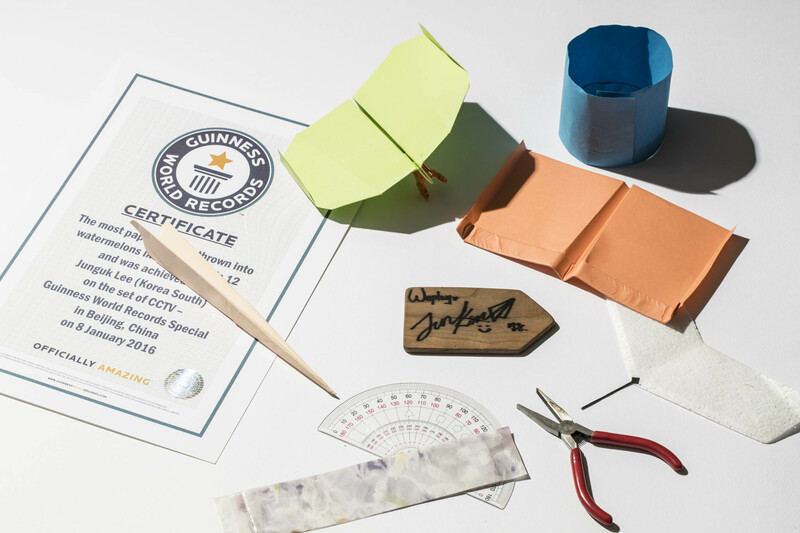 What does a unique sports or paper plane mean to you? In a word, it’s a turning point in my life. I didn’t aim for this, but I completely changed the direction of my life on the day of the paper plane world competition. Before the competition, I was majoring in electrical and electronic engineering and preparing to become an electrician. I also thought about establishing my own business, but I feared it would be too difficult. However, at the world competition, I met some great colleagues who wanted to try something new and loved paper plane sport, so my life became a paper plane unique sports marketer from that moment on. Then, when was your most difficult moment or situation? Every moment is hard. As an entrepreneur, I think my job does not have general or typical tasks. I need to constantly develop my abilities. Therefore, because I must grow and develop constantly, I don’t set a specific time to work. This is my inner conflict. There’s also external conflict. For example, there are people who are using our contents without permission because our contents are novel and interesting. While we care for others’ benefits, there are a few cases where others are abusing our help. We’ve had a hard time because of it. How did you overcome your difficulties? For our internal problems, it is easier to overcome them than our external problems because it is related to our actual work. To be honest, if I was a staff at another company and suffered internal problems like those we face, I might have quit. This thought makes me work harder to overcome the difficulties. As for external problems, I always keep in mind the value of our work first. At events related to paper planes, we often have our equipment get damaged or technology stolen. Each time we encounter that situation, we respond with the thought that we need to better inform others of our activities. We need to make people happy rather than losing energy, time, money, and so on from fighting. We believe big value can be realized by spreading information, and through that method, we can overcome our difficulties. What is your team’s goal as pioneers of unique sports? Our top goal is to host a paper plane contest in Korea. Through the contest, we hope to expand the scale of our Junior Pilot Camp and provide a better environment for unique sports. Since children who dream of being paper plane pilots may not see their dream realized in their lifetime, we hope to inspire them to take an interest in aviation or science fields as well. The second goal is to set up our own teaching workshops and utilize our own specially designed plane kits at our camps. We believe students will take more interest and satisfaction in paper planes if they have starter or helper kits. Last, the biggest goal we have for our company is to make a unique sports theme park. This ultimate goal needs the corporation of other unique sports, much research, and trial operations with students. Lastly, would you leave a message for Sookmyungians who are preparing their own start-ups? First, I think the skills needed for a start-up and those needed when job hunting are similar. However, for a start-up, you will need to push yourself a bit more. Eventually, you should choose which start-up business aspect you wish to focus on. It is really hard. Even now our company founders still meet frequently to discuss our own visions. We also spend hours discussing and giving feedback on activities, so before getting started, please think deeply about what you want to do and why you want to do it. Furthermore, do a full investigate as well. Just like getting a job, before you submit your application to a company, you will have investigation the company thoroughly, you must do this for your start-up company idea. You must get all the information about the type of start-up, and with that information, you can choose a specific aspect that is unique to be your establishing factors. Lastly, only beginning with “I will start-up my own business” will lead to failure because you will give up willingly and fail into despair. You will get exhausted easily. I recommend starting with “Enjoy the long road ahead, and success will come someday.” Sookmyungians, please choose a career that you will enjoy for years to come.